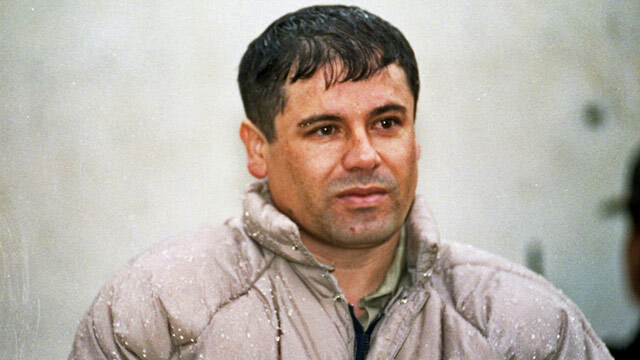 Drug Lord El Chapo Guzman Escapes Again: Who's Tipping Him Off? American officials have become so frustrated with a Mexican drug lord's ability to elude capture that they've started telling jokes about it. Time and again, the U.S. provides Mexican law enforcement with precise intelligence about the safe houses where Joaquin "El Chapo" Guzman, head of the Sinaloa drug cartel, is hiding. And every time the Mexicans raid a house, the man that the U.S. government calls "the most powerful drug trafficker in the world" manages to escape at the last minute through the back door. "Every time he gets away, they tell us, 'He got out the back door,'" said one American official. U.S. officials have started to joke that "there is no word for 'surround' in Spanish." PHOTOS of Mexican drug cartel violence. PHOTOS of drug tunnels under the U.S./Mexico border. Behind the jokes, however, is concern that someone in Mexican law enforcement is tipping off Guzman, allowing him to escape just ahead of the raids. During the 1990s, problems with leaks of U.S. intelligence helped delay the capture or killing of several top players in the Colombian drug cartels. In El Chapo's latest escape, he apparently went out the back door of a mansion in the beach resort of Los Cabos just before Mexican Federal Police raided the house. Several of his alleged associates were arrested and are in custody. The raid in late February came just a day after Secretary of State Hillary Clinton and other foreign dignitaries were in town for a meeting, and the U.S. was able to provide Mexican officials with precise intelligence about Guzman's whereabouts. In another recent near miss, according to U.S. officials, the Mexicans came so close to catching Guzman that his coffee was still warm. U.S. intelligence about Guzman's whereabouts is typically pinpoint, say officials. The U.S. might, for example, be able to find the city block where the kingpin is staying, and then narrow his location down to two or three houses. The U.S. holds the information closely until Guzman's exact address is known. The U.S. then shares the information with only a few key people in the Mexican federal police and the military who have been reliable allies in the drug war. Each time the Mexicans mount a raid, however, El Chapo escapes. One possibility, say officials, is that after receiving the intelligence the Mexicans are simply slow off the mark, giving Guzman time to flee before the raiding party arrives. After so many close calls, however, there has been unavoidable speculation about another possibility, that there is leak somewhere in the chain, and someone is warning Guzman. Despite the concerns, efforts to catch Guzman, and the sharing of intelligence, continue. Guzman, whose nickname means "Shorty," has long been ranked among the richest men in the world by Forbes, and the DEA says he has surpassed late Colombian drug kingpin Pablo Escobar in power. The State Department has offered $5 million for his capture. Though he was arrested in 1993, he has been on the loose since escaping from prison in a laundry truck in 2001. Now in his 50s, he built the Sinaloa cartel into what law enforcement officials consider the most powerful drug-trafficking organization in the world. Based in Culiacan, Sinaloa, the cartel has taken control of drug-trafficking in much of western Mexico, including the states of Baja California, Sonora and Durango, while the violent Zetas gang, which includes many gunmen with Mexican military training, dominates the east. The Sinaloa cartel deals in methamphetamine, marijuana, heroin and Colombian cocaine. The Mexican government was thought to be zeroing in on Guzman ahead of July's presidential election. His capture would boost the fortunes of the ruling PAN party, which is trailing the PRI party in the polls. The administration of current president Felipe Calderon had been accused of favoring the Sinaloa cartel while attacking lesser drug organizations. National Public Radio aired reports alleging that Mexican officials were helping the Sinaloa cartel to take control of areas run by other gangs, and that arrest data showed Sinaloa cartel members were arrested at a lower rate than members of other cartels. The Mexican government disputed the charge. Exclusive: Who's Tipping Off Drug Lord?